By Richard Wagner. transcr. Lucien Cailliet. For Concert Band. Concert band. Classic Band. Level: Medium (grade IV). Conductor Score and Parts. 180 pages. Duration 5:57. Published by Alfred Publishing. By Richard Strauss. Arranged by Robert Longfield. Transcription. Concert Band. Classics. Level: Grade 3. Score and set of parts. Composed 2001. Duration 0:01:28. Published by C.L. Barnhouse. By Vittorio Giannini. By Vittorio Giannini. For Concert Band. Concert Band. Belwin Classic Band. Level: grade V. Conductor Score. 156 pages. Published by Alfred Publishing. By Douglas Akey. Music by Douglas Akey. For Concert Band. Concert Band. Alfred Concert Band. Level: 4 (Medium Difficult) (grade 4). Conductor Score. 28 pages. Published by Alfred Publishing. By Andrew Lloyd Webber. Arranged by Warren Barker. Score and full set of parts. Hal Leonard Concert Band Series. Grade 4. Size 9x12 inches. Published by Hal Leonard. By PDQ Bach. Arranged by Professor Peter Schickele. Concert band/stage band. Classical. Score and parts. S 1000. 50 pages. Duration 13:00. Published by Theodore Presser Company. Valse de l'Empereur = Kaiserwalzer. By Strauss. Arranged by John G. Mortimer. Concert Band. Swiss import. Score and parts. Published by Editions Marc Reift. (EMR 1946) Level: 3+. Score and Parts. By Jaromir Weinberger. Arranged by Glenn Cliffe Bainum. Hal Leonard Concert Band Series. Size 9x12 inches. Published by Associated. Score and Parts. By Gustav Holst. Arranged by Johan De Meij. Amstel Concert Bands. Size 9x12 inches. Published by Amstel Music. Composed by Gustav Mahler (1860-1911). Arranged by Reynolds. Symphonic band. Shawnee Press. Classical. Condensed Score and Parts. Shawnee Press #K0298. Published by Shawnee Press (HL.35022349). Composed by Edward Elgar (1857-1934). Arranged by Andrew Glover. Spotlight Series. Score and parts. Duration 0:3:11. Published by C.L. Barnhouse (CL.012-4492-00). Composed by J. Strauss, Jr. Arranged by Singleton. Score. Published by Grand Mesa Music (GC.GMM358-SCORE). By Franz von Suppe. Arranged by Mark Williams. Music by Franz von Suppe / arr. Mark Williams. For Concert Band. Concert Band. Challenger Band Series. Conductor Score and Parts. 2 pages. Published by Alfred Publishing. 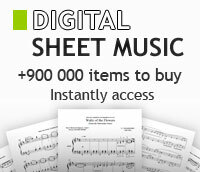 Great Transcriptions (Grade 5) - Score Only. By Edvard Grieg. Arranged by Joseph Kreines. (Score). Boosey and Hawkes Concert Band. Size 9x12 inches. 14 pages. Published by Boosey & Hawkes. By Andrew Lloyd Webber. Arranged by Michael Mcintosh, Paul Murtha. (Score & Parts). Score and full set of parts. Hal Leonard Concert Band Series. Grade 4. Size 9x12 inches. Published by Hal Leonard. By Cesar Auguste Franck. Arranged by Alfred Reed. Holiday,transcription. Concert Band. Classics. Level: Grade 3. Score and set of parts. Composed 1988. Duration 0:04:50. Published by C.L. Barnhouse.